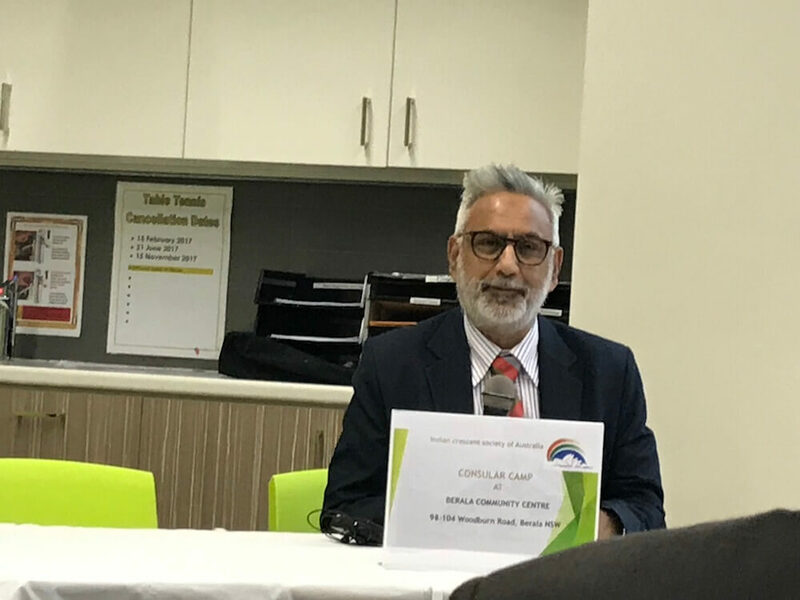 The Indian crescent society of Australia (ICSOA) organised a Consular Camp for the community on Saturday 19 August 2017 at Berala Community Centre, Berala, NSW. 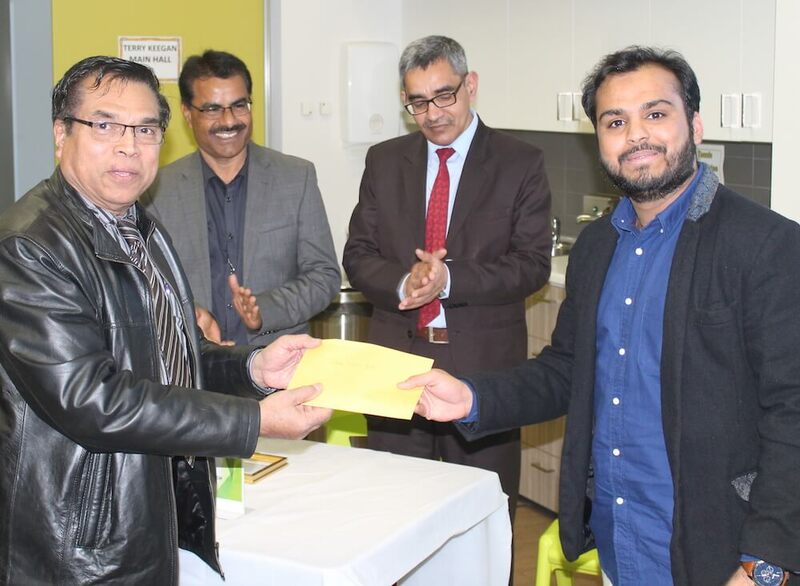 This event was organised in order to create awareness among the community about services provided by Indian Consulate in Sydney and VFS and address concerns related to the processing of visa applications. 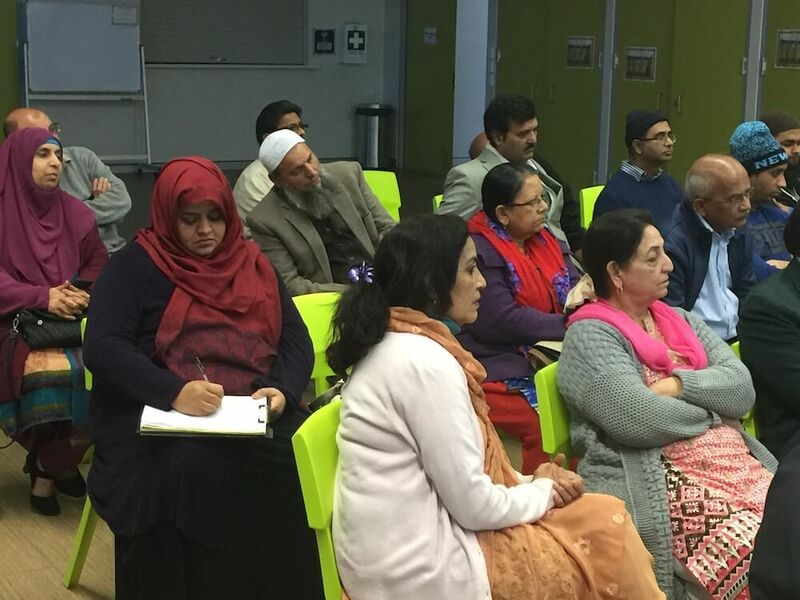 The popular event was attended by people of Indian origin including representatives and office bearers of various community organisations. 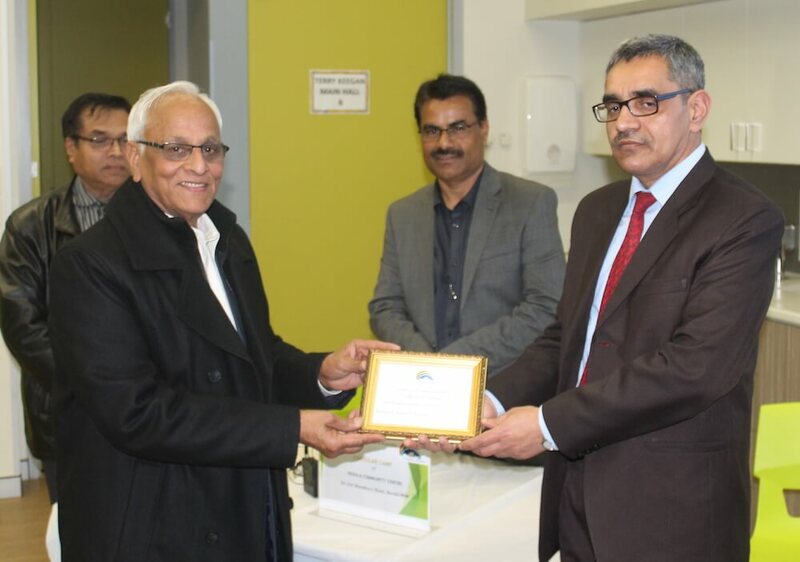 Mr S K Verma, Mr Krishna Yallapragada and Mr Wasihaider Syed were the invited guests from the Indian Consulate General in Sydney and VFS. 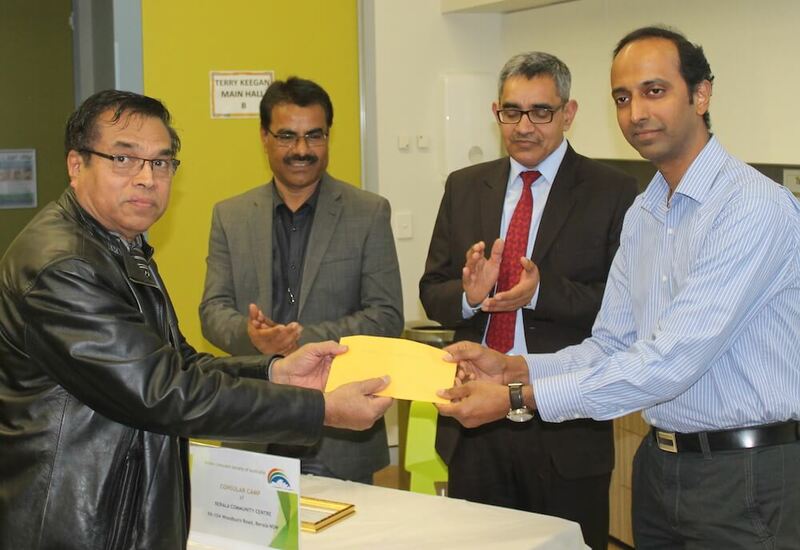 Professor Prof. Rajeshwari Prasad Mathur presenting an ICSOA gift to Mr S K Verma, Consul of CGI Sydney. The program started with the recitation of Quran by Ms Tahera Chaudhary followed by welcoming of all present by Dr Fasihuddin Khan, ICSOA Secretary. He gave a brief overview about the Consular Camp, its relevance and importance to both the community as well as to the Indian diplomatic mission. 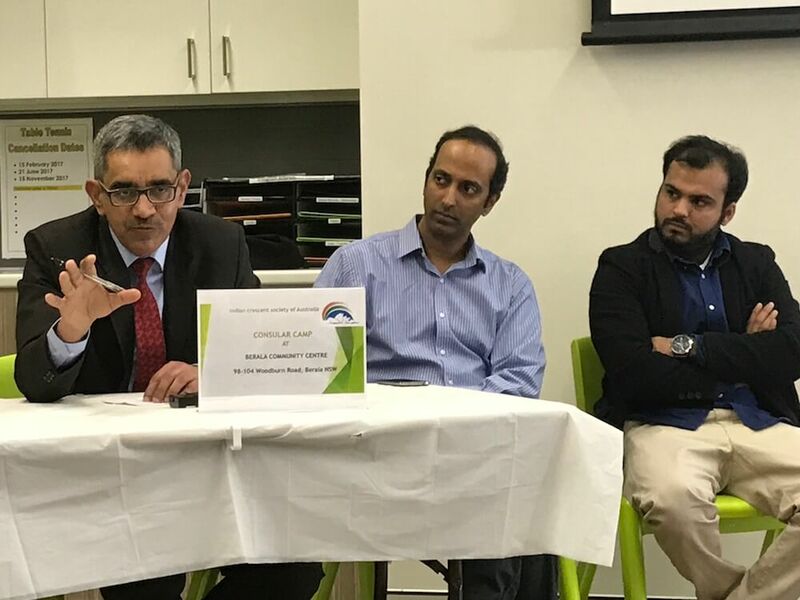 ICSOA President, Mr Abbas Raza Alvi during his address provided an update on ICSOA activities, mission and future goals explaining that the objective and purpose of ICSOA is to integrate and have a collective voice for Indian Muslims in Australia, representing them on Indian platforms in Australia as well as contribute towards the welfare of Muslims in India. 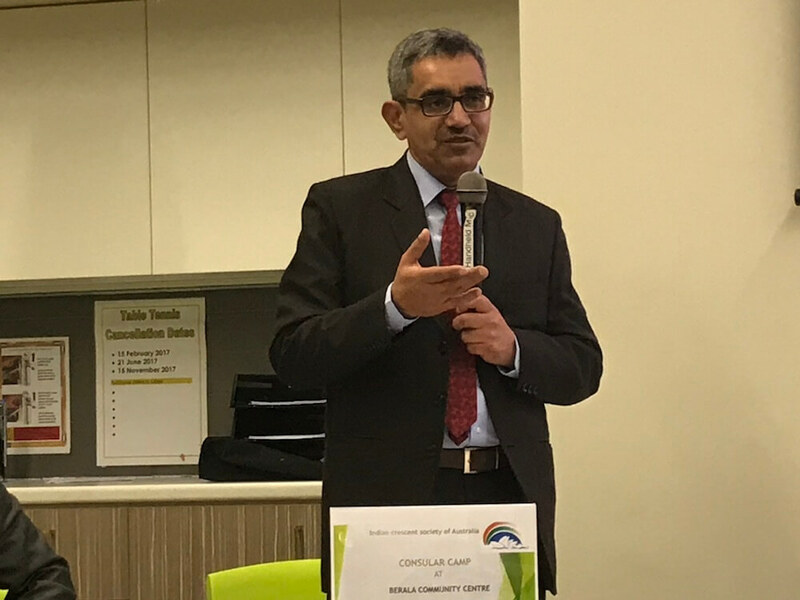 Mr S K Verma, Consul (Consular), Head of Consular and Community Welfare Wing from Consulate General of India in Sydney was the keynote speaker at the event. He highlighted the ongoing, issues and hardship faced by the Indian community in obtaining Indian visa. 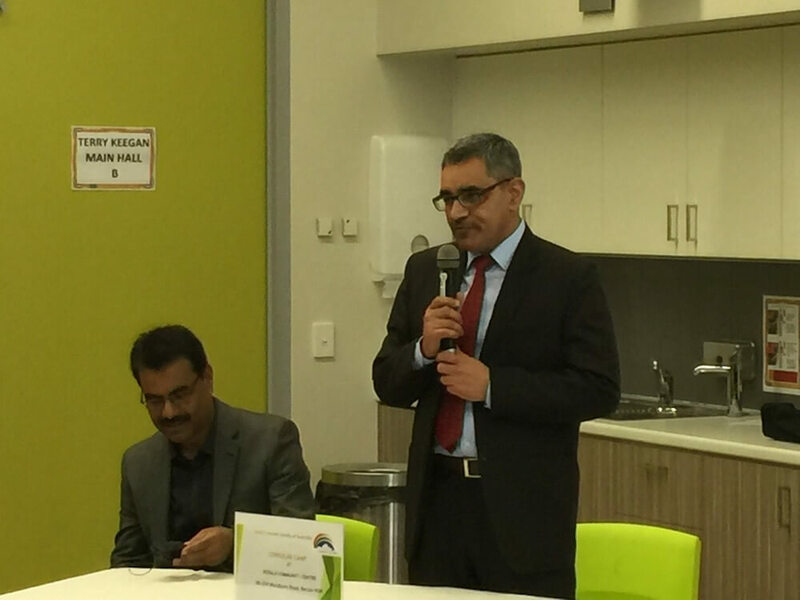 Mr S K Verma, Consul of CGI Sydney. 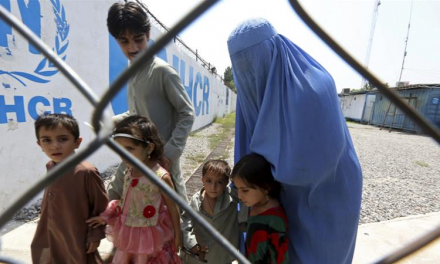 He pointed out the services which are provided directly by Consulate General namely life certificate, emergency paper, transportation of dead body while others provided by VFS, document attestation, OCI, driver’s license, passport and renewals. Mr Verma clarified that in the case of incomplete form; applicants are not required to re visit, instead asked to post the required documents which are needed to complete the form. It was also explained that ADHAR and PAN card is not required for the holder of OCI card. The Question and answer session followed by presentations were most interesting and highly interactive. 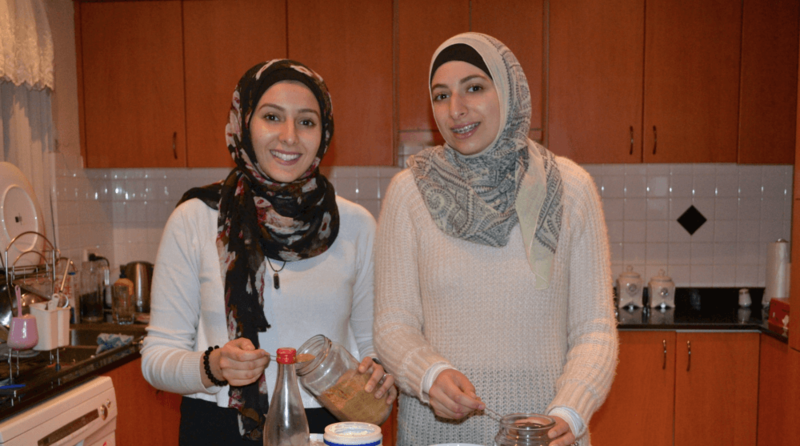 Many questions were related to visa processes, hurdles and inconvenience to applicants. Questions were also asked regarding passport cancellation and how to keep proof of surrendering passports. Rights of OCI card holder were also explained limited only for buying of agricultural land and exercising voting during election. Mr S K Verma, Mr Krishna Yallapragada and Mr Wasihaider Syed were all presented with gifts from ICSOA in recognition of their services towards the community.